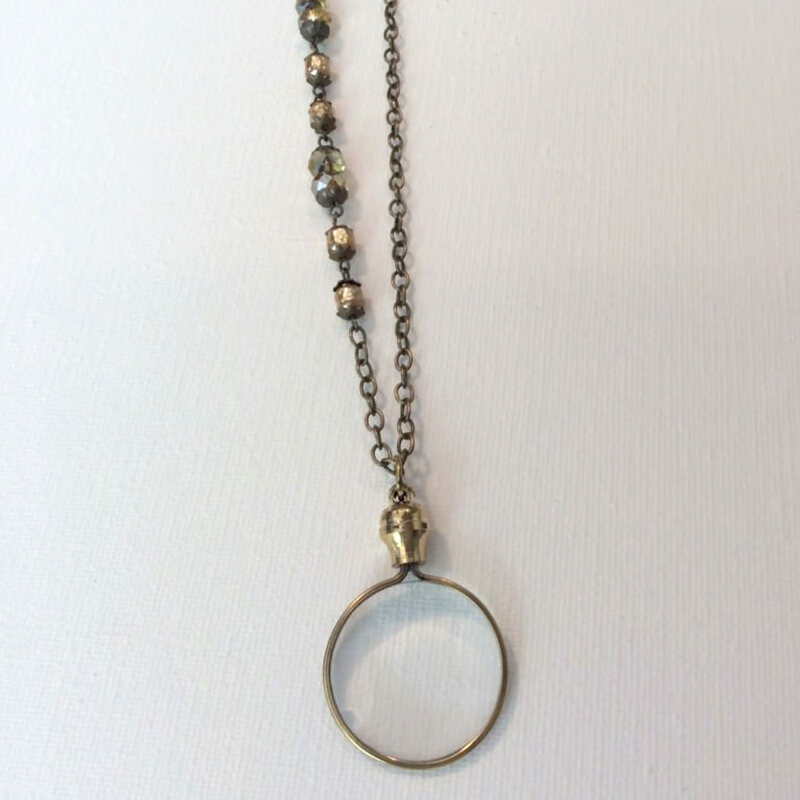 This unique and functional magnifying glass pendant necklace features wisps of dandelions in the top piece and an adjustable silver matte chain up to 36″. 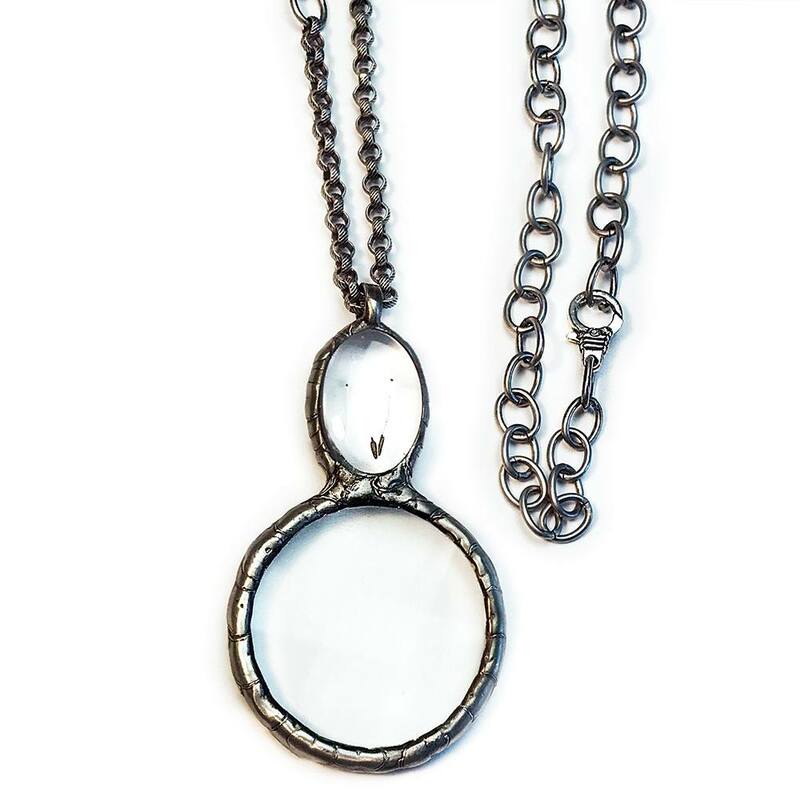 This Magnifying Glass Pendant Necklace is both functional and unique! The top glass features small wisps of dandelions and tops a working magnifying glass to use whenever you need to read super small type. 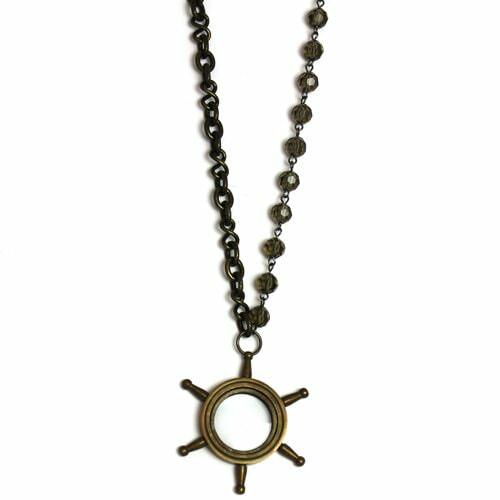 The adjustable silver matte chain is made from two different size loops, one textured, one smooth and is adjustable up to 36″.